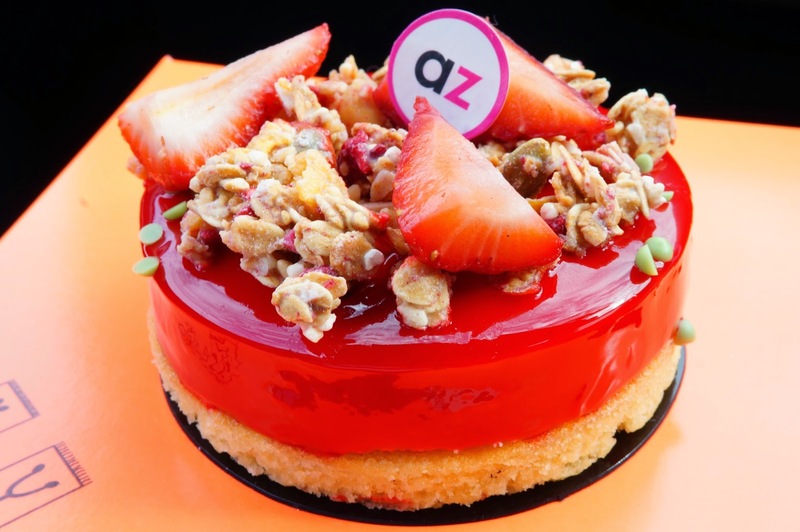 When I heard Zumbo was opening a store in Melbourne town I was a keen bean, I would buy all the macarons I thought, I would buy all their cakes, chocolate and ice-cream I thought. 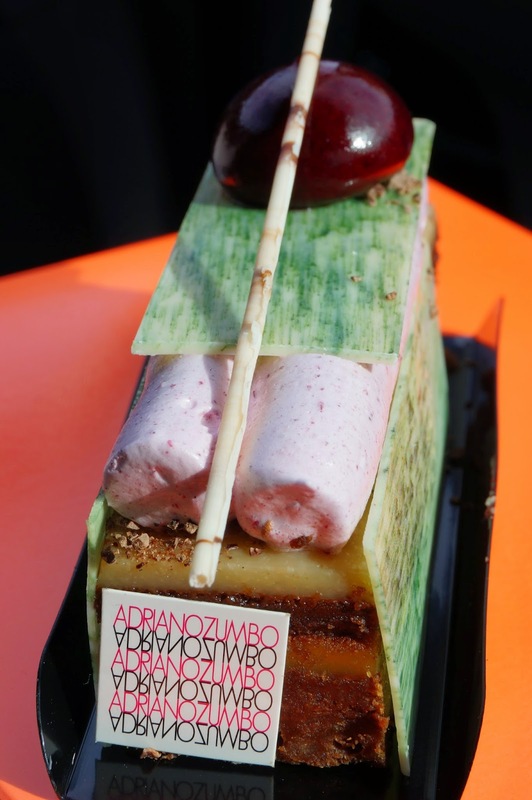 It hasn’t really been that way, but that isn’t a reflection on Zumbo – I’m still a fan. I go there when I want to be punched in the face by sweet, or try his crazy-cool macaron flavours like peking duck or the Pie + Sauce (beef pie flavoured filling and zesty tomato sauce gel inside a pastry-like macaron shell. Yeah, that tasted really weirdbad). No-one really does experimental left-of-centre flavours like Zumbo and he will always hold the title of boundary-pusher in my mind. Pars the Strawberry Gran – Strawberry & white chocolate mousse, frangipane, parsley jelly and granola. The Par’s ($9.0) beautiful light cake base was great accompanied with the strawberry mousse. The parsley gel was definitely made of parsley and had a distinct ‘green’ flavour but together the combination worked. The granola was added for crunch but seemed to have absorbed some of the cake’s moisture and thus was a little chewy. Aussie Kids – White chocolate cremeaux, flourless chocolate sponge, banana jelly, blackberry marshmallow, brownie, weet-bix crunch & a blackberry sphere. I didn’t enjoy Aussie Kids ($9.0) as much as the Pars. The flourless chocolate base was quite bitter and not sweet enough, whilst the blackcurrent mousse didn’t lift the cake up as much as I hoped. There was a crunchy weet-bix chocolate texture which worked well, but on the other hand the banana jelly didn’t come through enough. This cake felt like a shambles, but the one redeeming factor was the Blackberry Sphere; IT POPPED JUICE AND THE JELLY SHELL WAS SO NICE. Amazing. See, it’s the little things. TL;DR Check out Zumbo for the novelty.